Did you know I’ve been to Kaikoura 4 times since I wrote Pelagic Portraits? I know it seems slightly excessive but after a year of restricted access I am giving this little town all the love I can! 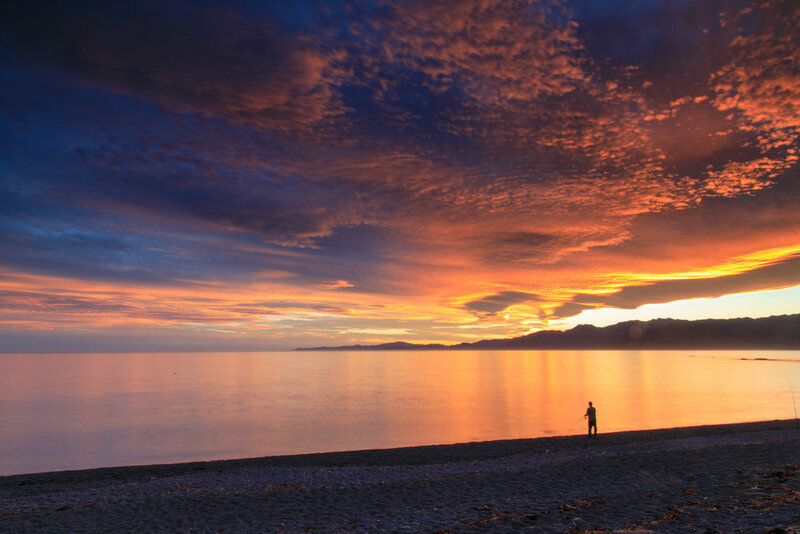 Kaikoura really is my happy place, and being out on the water looking east into the complete vastness of the South Pacific slows me down and reconnects me to my environment. There wasn’t a lot of slowing down on this trip though. After recently meeting up with Simon Pierce and his parents for an E-Ko Tour in the Marlborough Sounds, I totally invited myself to join them in Kaikoura a few weeks later. We only had 24 hours squeezed between another photography commitment and approaching cyclone Gita so I convinced Simon to trust me with the bookings. We spent our evening checking out the dotterels in South Bay. They had a heart-breaking nesting season this summer and while I wanted to photograph them I was also very conscious of disturbing them. We wandered slowly down the beach, set our cameras up and hoped at least one might scuttled close to us, the shot below was taken at 400mm and is almost 100% cropped, it’s not great but Dots are cute huh? After checking out the amazing clouds forming we decided tea would be fish & chips (Coopers Catch have the best chips ever #fact) while waiting for the sunset, we were rewarded for our patience. 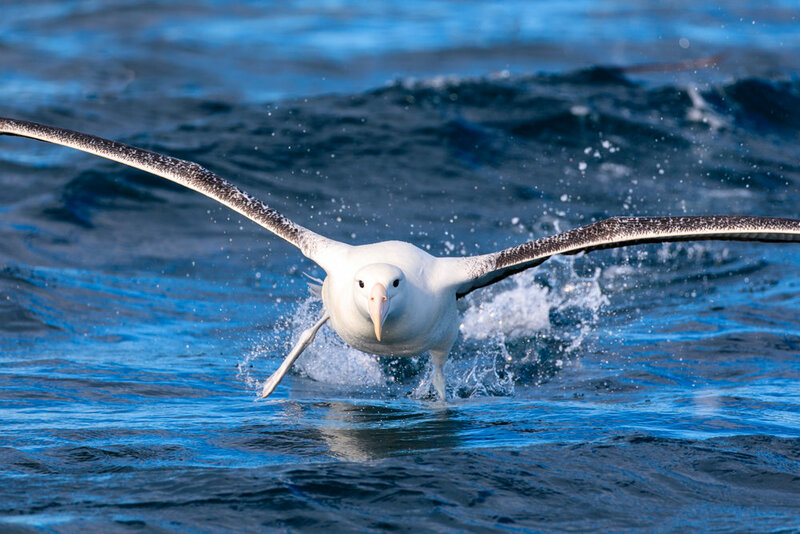 Monday morning was albatross time, we were racing cyclone Gita and while it was a little swelly I was so excited to be back out with Albatross Encounter. 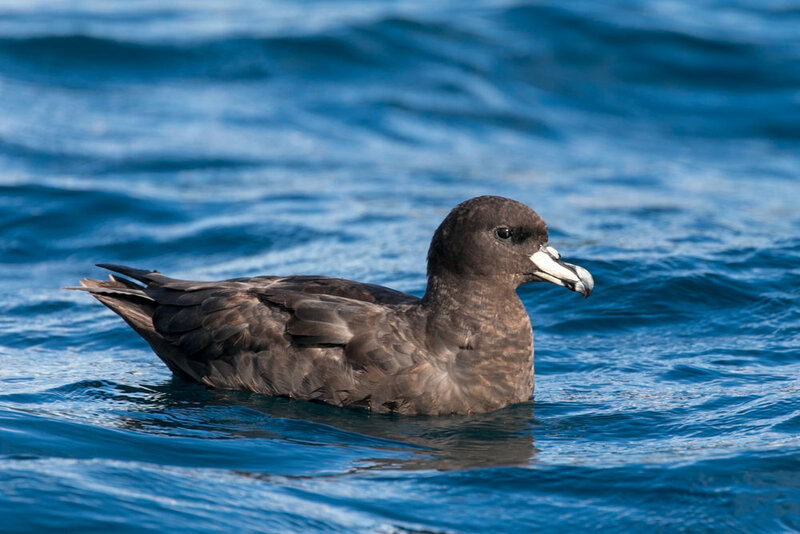 The first interesting bird for me was a Buller’s Albatross, more common in winter but the farthest north I have seen one. The usual suspects all turned up, as well as a beautiful Antipodean Albatross, which (I think) was another first for me in these waters. Every time I come out with Albatross Encounter I just want to stay out there, do you think I can convince Gary to let me sleep on board? We had a few hours to spare after the albatross, so we had a quick bite at the Encounter cafe and headed out of town. I had heard of a secret spot where Hectors dolphins play, and we thought we’d try our luck. I promised I wouldn’t share this location (sorry!) but to see 5 wee Bonsai dolphins (as Simon calls them) swimming super close to shore was so special. I will be back with time to spare, and my camera next time. Our next stop was Whale Watch Kaikoura, in an effort to break the whale curse I currently have. I giggled when I received a message from Heleen saying the sperm whales were too far out in the rough conditions (Yep, the whale curse strikes again) however there had been a juvenile humpback whale in the area. This would be the first up close whale encounter of my life!!!! This beautiful wee humpy kept us entertained for such a long time and I am certain Simon took a step sideways and pretended not to know me when I squealed for joy with every breach. There was a huge mixed pod of common and dusky dolphins too which would have totally stolen the show if it wasn’t for the antics of the humpback whale. A humpback whale, three species of dolphin, fur seals, so many tubenoses, huge rafts of gannets, and gorgeous wee shorebirds - that’s how you spend 24 hours in Kaikoura!